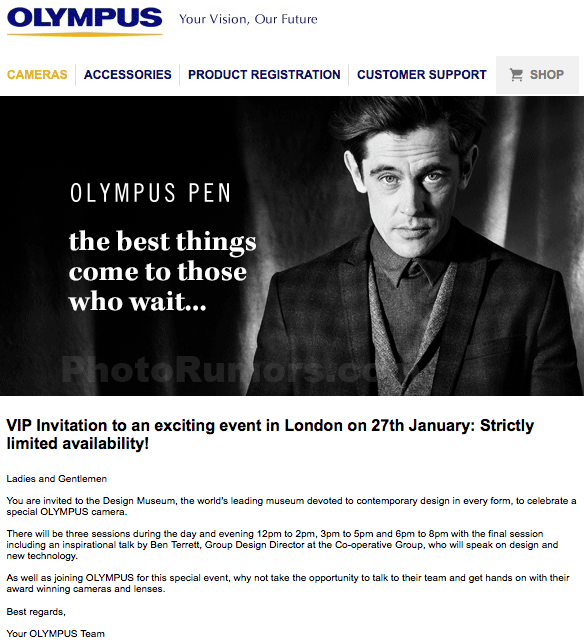 Olympus started sending out press invitations for the upcoming PEN-F announcement on January 27th. Additional information on upcoming PNE-F camera can be found here. Apple Aperture 3.0 on January 27th? This entry was posted in Olympus and tagged Olympus PEN-F. Bookmark the permalink. Trackbacks are closed, but you can post a comment.